Heart shaped balloons and manual lettering. 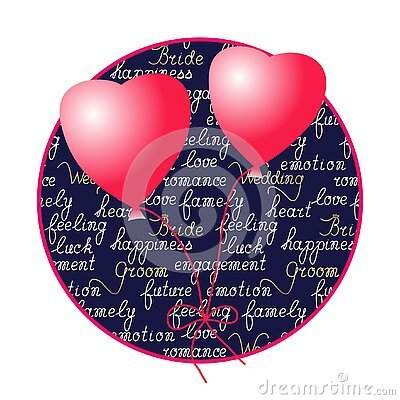 Vector illustration for design of Valentine`s Day, wedding, birthday and events. Love you lettering in heart shaped frame. Background template of heart shaped frame in watercolored daisy flowers.